MBRP is now at the forefront of diesel truck performance exhaust technology. With over 15 years of manufacturing expertise the MBRP design team has developed an industry leading line of diesel truck performance exhaust products for stock to highly modified Ford Powerstroke, Dodge Cummins, GMC Duramax and Eco Diesel turbo diesel trucks. Offering all of its MBRP diesel exhaust systems in aluminized, T-409 stainless, T-304 stainless, 4" and 5" diameter systems. 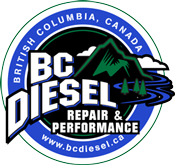 MBRP ensures that BC Diesel has a price point and product for all of our customers needs and pocketbooks. MBRP's 3.5" T-409 Stainless Steel turbo down pipe replacement for your 2003 - 2007 Ford 6.0L Powerstroke diesel. 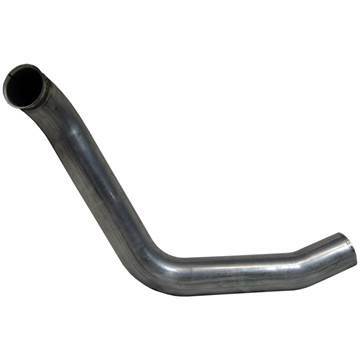 Smooth mandrel bends give you the best flowing Ford down pipes in the industry. 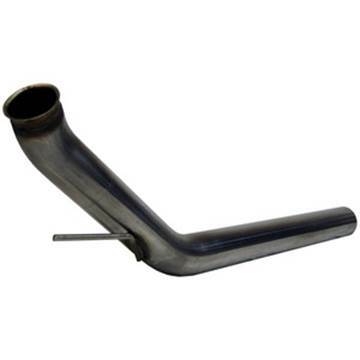 Get even more exhaust flow with MBRP's 4" Down Pipe for your 1994-2002 Dodge Cummins 5.9L. Constructed from heavy duty aluminized steel you can count on this pipe lasting for years to come. 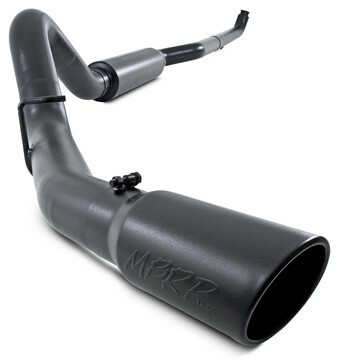 Get even more exhaust flow with MBRP's 4" Down Pipe for your 2003-2004 Dodge Cummins 5.9L diesel. 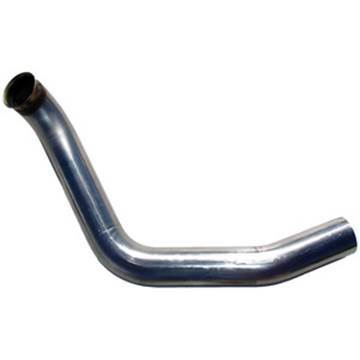 Constructed from aluminized steel, you can count on this pipe lasting for as long as you own your truck. MBRP's 4" Down Pipe Back PLM Series Exhaust System for your 2017-2019 Ford Powerstroke 6.7L F250/F350/F450 diesel pickup. Made from heavy gauge aluminized steel, this free-flow kit does not come with a muffler or exhaust tip. MBRP's Performance Series 4" Down Pipe Back Exhaust System for your 2017-2019 Ford Powerstroke 6.7L F250/F350/F450 pickup. Made from heavy gauge aluminized steel, this kit comes with a 304 polished stainless muffler. No exhaust tip comes with this system. MBRP's 4" Down Pipe Back BLK Series Exhaust System for your 2001-2007 GMC Chevy 6.6L Duramax LB7, LLY, and LBZ Extended Cab/Crew Cab diesel pickup. Made from heavy gauge black coated aluminized steel, this kit also includes a black coated muffler and exhaust tip. MBRP's 4" Down Pipe Back SLM Series Exhaust System for your 2017-2019 Ford Powerstroke 6.7L F250/F350/F450 diesel pickup is made from 16 gauge T409 Stainless Steel, which lasts longer than aluminized steel exhaust kits. This free-flow exhaust kit does not come with a muffler or exhaust tip. This aluminized steel 4" Cat & DPF Delete Race Pipe Kit from MBRP fits your 2015.5-2017 GMC Chevy Duramax 6.6L 2500/3500 pickup with the LML engine. This kit will only fit models equipped with the OEM-style 3-bolt flange coming off of the turbo direct pipe. Race tuning required.